We always have this item in stock. We ship this item with in one business day. 3 Bottles of 8 oz. 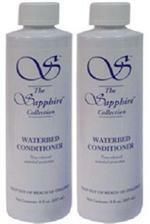 Blue Magic Waterbed conditioner. Help Prevent Algae & Bacteria build up inside your mattress. 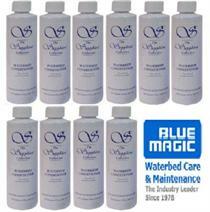 Works on all Hardside and Softside waterbed mattresses with one or two bladders. 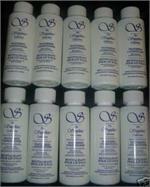 If you have a Free Flow, Semi Wave or Wave less then this is what you need. Most waterbed mattress manufactures recommend 4 oz every six months. Blue magic directions 8oz for free flow mattresses every 8 to 12 months or for fiber beds 8oz every 4-6 months. Blue Magic has been manufacturing quality products in the U.S. since 1978. S/H cost is Free for the 50 U.S. States.